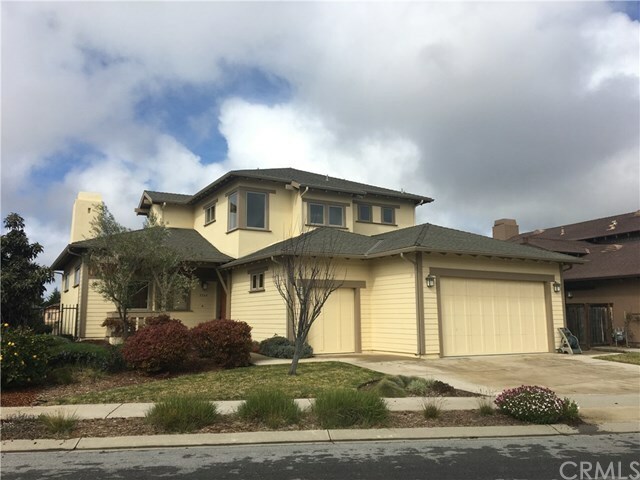 Welcome to this Cypress Ridge Neighborhood a private Gated Golf Community in Arroyo Grande, California. This beautiful Craftsman-style home located on Cypress Ridge Lake. A well-designed open floor plan offers the master suite on the first floor level with a walk-in closet and spacious bathroom with a large spa-like tub and shower, a private patio with Lake Front Views. Open living room, large chefâs kitchen and dining room overlook the lake. Upstairs features 2 additional bedrooms, 2 bathrooms, and an outside viewing balcony. Beautiful Craftsmen Style wood trim and solid wood doors throughout. Come see this home and enjoy all that Cypress Ridge has to offer. This prestigious Cypress Ridge Golf Community offers a Driving Range, Putting Green, Event Pavilion, Greenbelt Parks, Golf Academy, Full-Service Golf Pro-Shop and Patio. Put this on your list for a sneak peek!